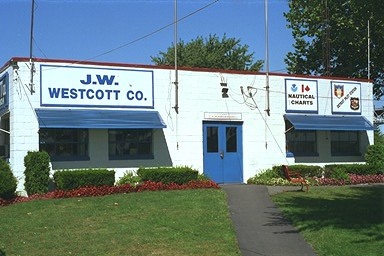 The J. W. Westcott company is located just south of the Ambassador Bridge along the western shore of the Detroit River. From their headquarters, they sell nautical charts, serve as the pilot boat station, and operate the J.W. Westcott II mailboat. The company was founded in 1874 by Great Lakes Captain J. W. Westcott. Captain Westcott used a rowboat to deliver ship's orders to passing vessels. In 1895 he began delivering mail as well. 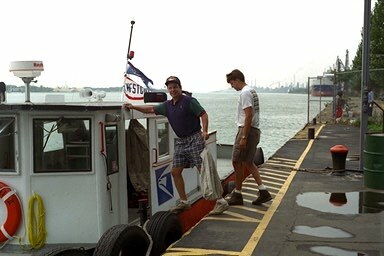 This year (1995) marks the 100th Anniversary of this unique mail delivery service.